A delicious breakfast meal made with three ingredients. Bring water and KNORR Garde d’Or Hollandaise to the boil, rain in polenta whisking over a low heat until cooked. Stir through baby spinach leaves. Heat butter in a pan and mushrooms. Cook until browned. 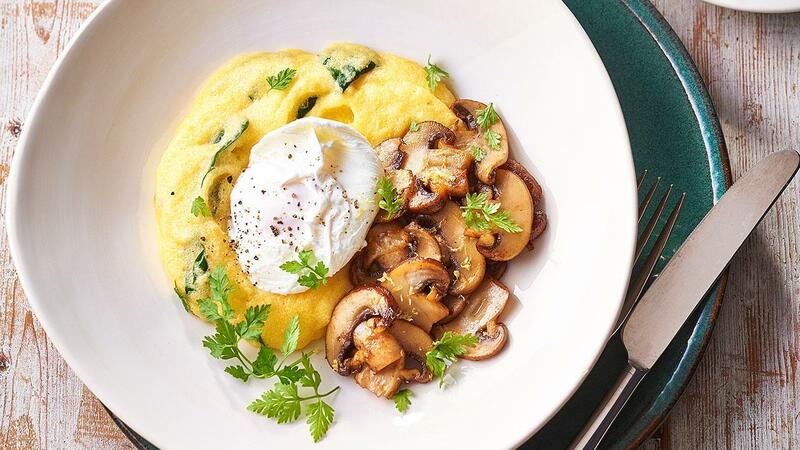 Pour polenta into a shallow bowl, top with poached egg, mushrooms and lemon zest. Garnish with chervil.